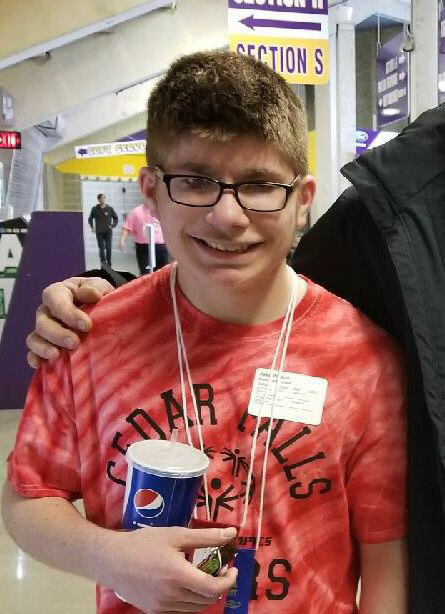 The mother of a northeast Iowa autistic teenager who went missing in April says she doubts her son will be returning home. But, Megan Richter-Neiswonger tells KCRG-TV she isn’t giving up on the thought of her son, Jake Wilson, turning up safe. Richter-Neiswonger and about a dozen other people spent Tuesday night replacing blue ribbons around businesses in La Porte City. “The ribbons are starting to fade a little due to the weather so were replacing them,” Richter-Neiswonger said. Tuesday marked exactly four months since Jake disappeared. The 16-year-old boy often walked to Wolf Creek, just a couple blocks from his home. That’s what Jake told his step-dad he was doing on the evening of April 7. There’s been no sign of Jake since, despite intense searches of the area by police and volunteers. Four months later, Richter-Neiswonger still struggles to sleep at night. “I sit out on my front porch with my blue light on and I wait…for him to walk back, or someone to drop him off. That hope, that hope that he does come home,” Richter-Neiswonger said. If anything, her fears have broadened. Jake’s mother is afraid an accident happened and he may’ve fallen in the creek. “My other fear is somebody has taken him,” Richter-Neiswonger told KCRG. “I just…motherly instinct, gut instinct – I don’t believe he’ll be coming home.” The fresh ribbons spread throughout La Porte City are blue — Jake’s favorite color and the color of autism awareness.